"It really surprised me to see Taxmeifyoucan priced up at around 20/1 in the 15:35, so he has to get my vote at [21.0] or bigger in the 3m2f handicap hurdle." You know it is a quiet weekend when there were no 48-hour overnight declarations, but every cake doesn't have to have a cherry on the top, and the ITV races at Newbury and Kelso at least offer a few slices of competitive fare. Well, the opening contest at Kelso aside. 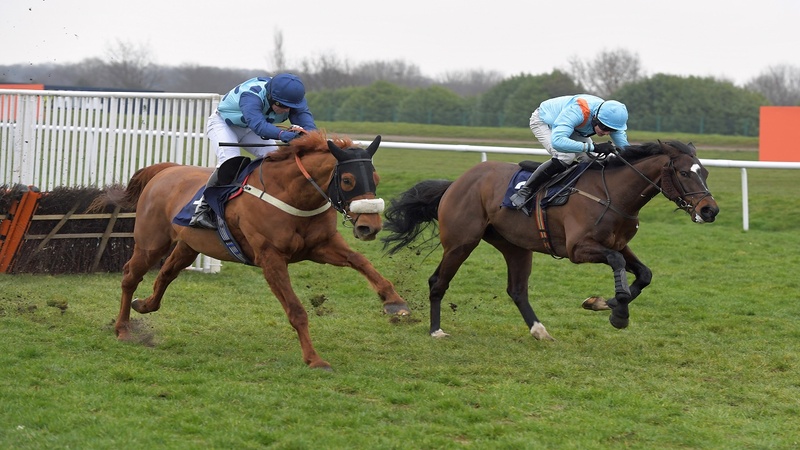 But that is a four-runner novices' chase (there were only three before it was re-opened at 10am), and you know what you are likely to get when you stage this type of race, as we have seen throughout the season. I'll start at Newbury though, and the 3m2f handicap chase at 14:05. Bored, I had a fair look at the two meetings earlier in the week and I whittled down this race to a shortlist of five - Classic Ben, who did us (and seemingly the rest of the punting world) a favour when landing a big plunge at Sandown last time, didn't make the quintet - of which only Grand Vision and Salmanazar have been confirmed at the overnight stage. Grand Vision has been done a favour by the handicapper, being dropped 7lb for just two runs this season, and he looks on a very exploitable mark now, on a track on which he finished a good second on his only visit back in December 2017. However, two factors put me off him in the final analysis, namely that he would prefer softer ground (they have been watering at Newbury, but it is still good to soft, good in places) and the questionable form of the Colin Tizzard stable. And he is getting on a bit at 13-years-old, too, though I must admit prices edging towards 20/1 nearly reeled me in. Salmanazar is no spring chicken at 11-years-old but he shaped as if this extra 2f would suit when plugging on for fourth at Sandown last time in a well-run handicap. He has been eased 1lb for that outing and I think the better ground could suit as he steps back up in trip, though this is the furthest he has gone. And it could be that the Sandown run is even better than it looked at the time as Alan King reckons "he had the wind knocked out of him when he landed on the ditch on the far side" there. Looking back at the video, King was bang right, as it was a jarring mistake. He did jump well apart from that blunder, though. 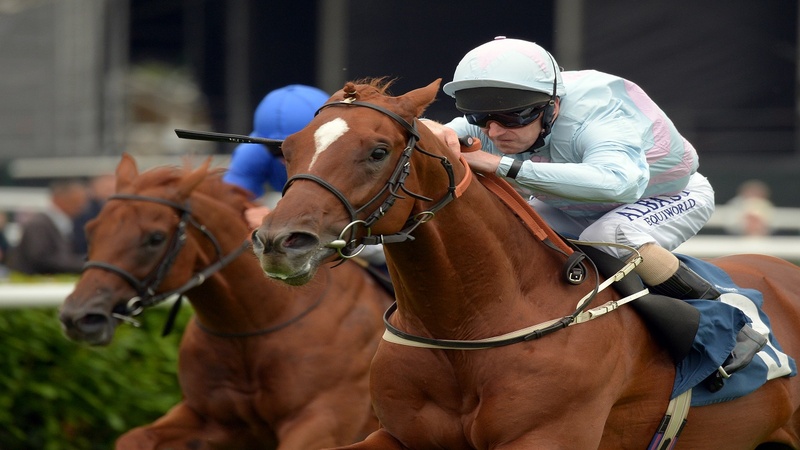 Strong Pursuit is the predictable market leader and I am sure bookies will be on 'Tony Bloom-watch' - or more accurately monitoring the Exchange - as regards his Kansas City Chief, who has been dropped 8lb for his last two runs, but Salmanzar should go well at [12.0] or bigger. Talking of obvious favourites, step forward Friend Or Foe in the 14:40. 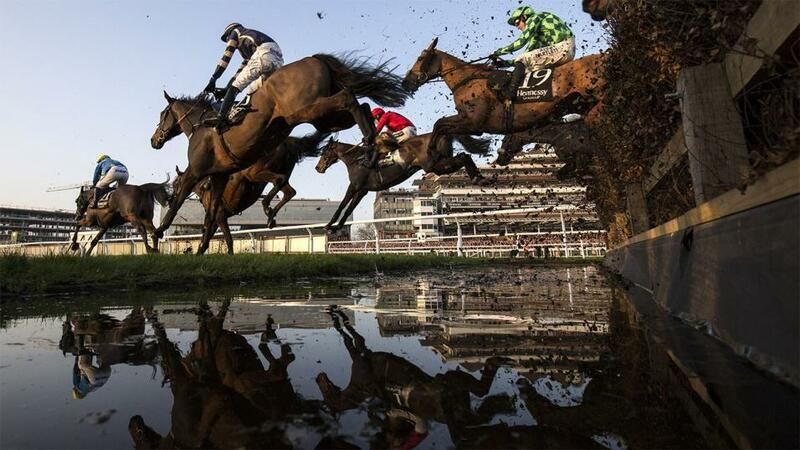 Paul Nicholls' charge was high up in the betting for the Fred Winter but failed to make the cut. However, the layers clearly aren't taking any chances with him on this retrieval mission. The Knot Is Tied, who should be well suited by the step up to 2m3f given he won three times over 2m on the Flat, and Legal History interest me more at the prices, and the latter gets the call in first-time blinkers. David Pipe is a fair 26 from 180 when using this option since 2006, and Legal History (pictured, right) looks fairly handicapped despite being 1lb out of the weights. He was rated 87 at his best on the Flat, where he had form over 1m4f, and he can race off just 106 here. That is just 1lb higher than when second over 2m at Doncaster on his most recent start, to a next-time-out winner, and the step up to 2m3f should suit given his exploits on the level over middle-distances. The stable hasn't has the best of seasons again but they are in fair nick at the moment, and Legal History rates a bet at [15.0] or bigger. We have been here before, but I simply have to give Oscar Rose another chance in the 15:15, at [13.0] or bigger. She has flattered to deceive more times than a drunken magician, with a whole host of odds-on in-running failures to her name, including in this race last season when she hit [1.83] when cruising into contention. But that came on soft ground and this better surface is far more favourable to her chances, as will be a stronger pace and a bigger field than she experienced at Doncaster last time (where he was backed at 2/5 in the run). She races off the same mark as when a good third in a 17-runner handicap at Cheltenham last April and the booking of Connor Brace, on board for the first time, and his 7lb claim could finally see her deliver. Millarville was 25/1 in a place on Friday afternoon, and that predictably didn't last, as this winning pointer shaped well enough over 2m1f under a 7lb penalty against a subsequent winner at Fontwell last time, will be suited by stepping up in trip, and has the services of a certain Richard Johnson. Johnson seems to be the go-to jockey for the owners, as he is an impressive seven from 19 for them. His mount is unexposed and could be fairly handicapped on a mark of 120 for a stable that won this race in 2008 and 2009, so I am going to recommend a decent saver at [13.5] or bigger. Over at Kelso, we can quickly pass on the aforementioned four-runner race that opens the card and ITV's coverage, and go straight to the 2m handicap hurdle at 14:25. It's probably not the done thing to put the boot into a man on his final day in the saddle but I have to say that I thought Noel Fehily gave Champagne City (pictured) a strange ride when second at Newbury last time. I was expecting the horse to be covered up and given a waiting ride there, as he tanks through his races and doesn't always find a great deal, but Fehily decided to go solo up the inner and just got run out of it. He has been raised 3lb but that rise was fully justified considering the winner was completing a hat-trick (even if he disappointed as an 8/1 chance in the County Hurdle last week) and I expect this course-and-distance winner to prove hard to kick out of the frame at the very least, if more patient tactics are adopted. Back him at [7.0] to win and [2.4] to place. Rons Dream and Some Chaos were my two against the field in the 15:00, but neither are betting propositions for me at around 6/1 in what is a very trappy little race. I was going to leave my Saturday punts there but it really surprised me to see Taxmeifyoucan priced up at around 20/1 in the 15:35, so he has to get my vote at [21.0] or bigger in the 3m2f handicap hurdle. He didn't run up to his best over an extended 2m3f at Carlisle last time but he has been dropped 2lb for it and he really interests me on his course-and-distance fourth here in January. That was his first (and only to date) run beyond 2m3f and I liked the way he saw the race out under quite a considerate ride, and staying trips over hurdles ought to suit seeing he was a 1m6f winner on heavy ground on the Flat at Haydock. He has dropped to a lenient mark, some 7lb shy of what he was racing off at Sandown last April, and he has course form figures of 134 here. He beat the next-time-out seven-length Sandown EBF Final winner Sam's Gunner here last February.